For any adult, re-entering an education environment can be daunting, and for the camp residents who are already operating under stressful conditions and may be dealing with the effects of trauma, this is doubly true. The most common language used for cross-cultural communication onsite is English, whilst local services require Greek. Most residents have limited competency in these two languages, which is why access to education is crucial in camp. For displaced people, access to education is paramount. With English being the universal language and most residents being placed in and around Europe, the need for an additional language skill is critical. Many residents were forced to leave education and do not have any qualifications as an advantage. A safe and comfortable environment to learn ensures that 850 plus residents are able to apply the skills learnt outside of camp. I AM YOU is currently the only NGO at Ritsona which has education as a primary objective. Our classrooms are designed as safe, private spaces where students can feel comfortable to learn, make mistakes and interact with one another. Adult learning spaces are available for mixed genders aged 18 and over. Tea, coffee and comfortable seating is available at the back of the classroom for prospective students who don’t feel comfortable joining in right away. Many female residents are prevented for cultural reasons from attending mixed gender activities. I AM YOU currently runs an education provision in camp specifically for women. The classes are taught by a female teacher and allow female residents access to the same educational opportunities as men. Lessons are taught in a safe and friendly environment where women are able to relax and open up. As an organisation it is important that we interact and engage with the local community to better understand their needs and how our services could help support and prepare them for integration into Greek society and abroad. I AM YOU set up regular community meetings to ensure residents feel included and informed about our programming. Community meetings are held at the end of each course in order to gather information from camp residents about their learning preferences, inform prospective students about our courses and give the community the opportunity to discuss with us their ideas for the program. We believe that aid is most successfully given through empowering members of the community we serve to take control of their own futures, and that access to education is a vital part of that empowerment. We also believe that our community members are capable of, and have the right to involvement in decisions regarding the educational objectives laid out, and in how they are achieved. Our ultimate goal is to, through our program, assist in building necessary skills, and increase the confidence, employability and adaptability of those who use the service. 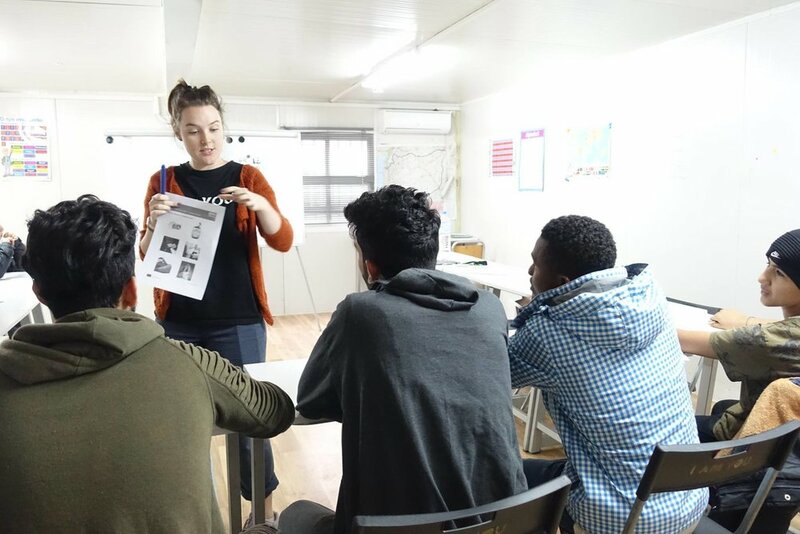 We envisage that in the long-term, this gives the camp residents more independence, and make it more possible for them to access opportunities later on, increasing the likelihood that they are able to steer in the direction of their choice.